Universities Studying Slavery (USS) is dedicated to organizing multi-institutional collaboration as part of an effort to facilitate mutual support in the pursuit of common goals around the core theme of “Universities Studying Slavery.” USS additionally allows participating institutions to work together as they address both historical and contemporary issues dealing with race and inequality in higher education and in university communities as well as the complicated legacies of slavery in modern American society. USS hosts semi-annual meetings to discuss strategies, collaborate on research, and learn from one another. 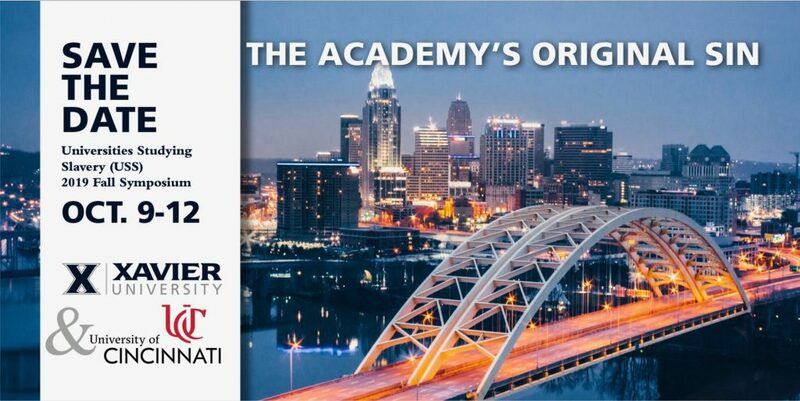 The next meeting will be hosted by Xavier University and the University of Cincinnati October 9-12, 2019. If your institution is interested in joining the conversation, please contact Ashley Schmidt, Ph.D., at aks8rn@virginia.edu.